You can build any layout you want or choose from their list of pre-designed page layouts. These themes also come with powerful options panels, setup wizards and automatic theme updates. Choose your favorite! 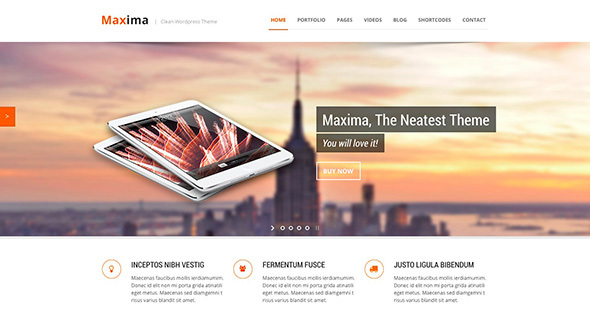 Maxima is a theme that comes with an advanced admin panel and a ton of customization options. It is compatible with WPML and Woo Commerce and has an overall clean and fully functional design. Elvyre is modern WordPress theme for corporate businesses. It comes with a fully responsive design and retina ready graphics and it is also integrated with a visual drag and drop page builder. This theme is based on the Bootstrap 1170 grid system and comes with a lot of pre-made layouts to choose from. Use this great theme for promoting, selling, and showcasing your skills and services. It can be used by any kind of professions, without any coding knowledge. Customization is easy, due to the super organized, and highly documented files. 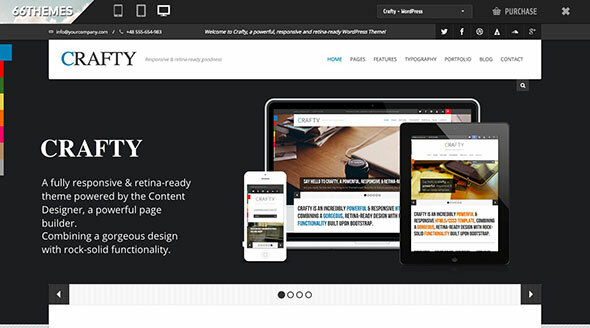 Crafty is a powerful HTML5/CSS3 WordPress theme built upon Bootstrap. This theme is retina-ready and all the pages are rendered crystal-clear on any device. Plus, it loads quire fast! 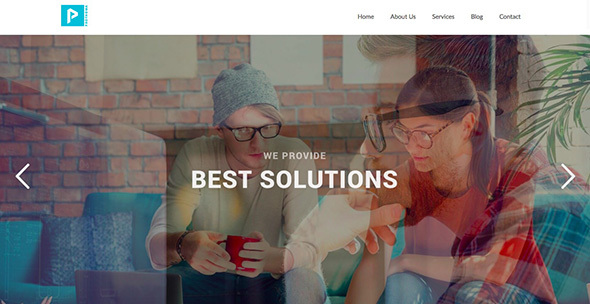 Smarald is a user-friendly WordPress theme offering an intuitive user experience and an interactive design made possible through the various CSS3 animations and transitions. This theme is fast-loading – under 0.5 seconds! It is designed on a grid of 1200px in width and it is entirely responsive. 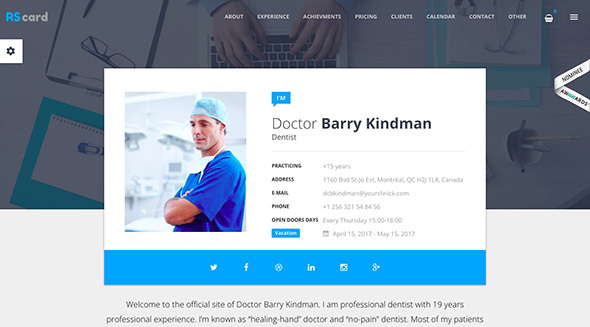 NEW Vcard is a one-page theme for showcasing your work or online resume. It comes with a page builder so you can build your pages using the drag and drop interface, and has a clean and valid code. Avamys is flexible WordPress theme with a responsive design that looks good on tablets and mobile phones. Choose the light or dark style or from the pre-made color schemes. The layout can be wide or boxed and you can add your own background. This is another responsive and retina ready theme that comes with an optional DISQUS integration, 6 color skins to choose from, 3 extra post types – Portfolio, Projects and Products and 6 new page templates. It is easily configurable and clean-coded. Inovado is a retina-ready WordPress theme with lots of powerful customization settings. It is integrated with the Revolution Slider Plugin and has full WooCommerce design integration. It lets you choose from over 500+ Google fonts and tons of useful shortcodes and pre-designed page layouts. GLB is multi-purpose responsive and retina ready WordPress theme. It lets you build a website in minutes, offering a ton of useful features to customize it. It is powered by a theme customizer and an advanced page builder. 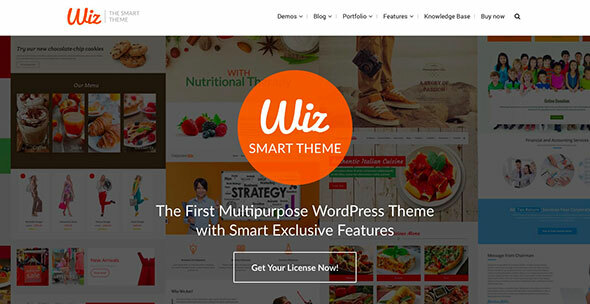 This is a multipurpose WordPress theme can be used for corporate websites, startups and small businesses, fashion online stores, restaurants and other food industry businesses, charity and NGOs, spas and health websites, and even as a landing page for your product or service. 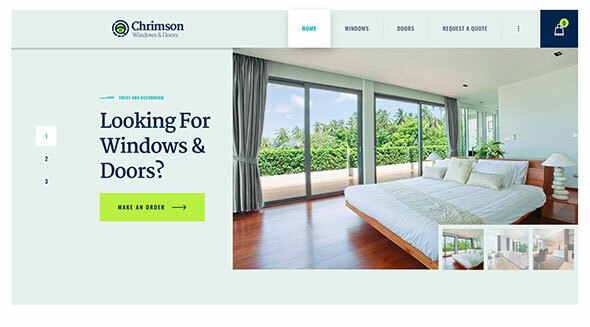 Chrimson is a responsive and retina ready WordPress theme with a minimal design. It is perfect for e-Commerce websites and can be adapted for architecture and design companies as well. The theme is highly customizable and compatible with the WPBakery Page Builder, Essential Grid, WooCommerce, Instagram Feed, and other popular plugins. This is another responsive and retina-ready WordPress theme, this time powered by a clean grid system layout. It is integrated with the WPBakery (former Visual Composer) plugin and it is optimized for mobile touch and swipe. 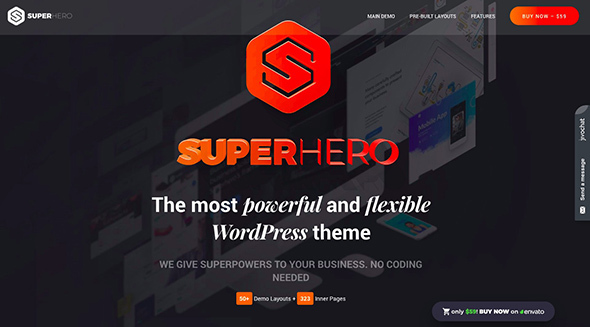 Superhero is another premium WordPress theme for startups and entrepreneurs. 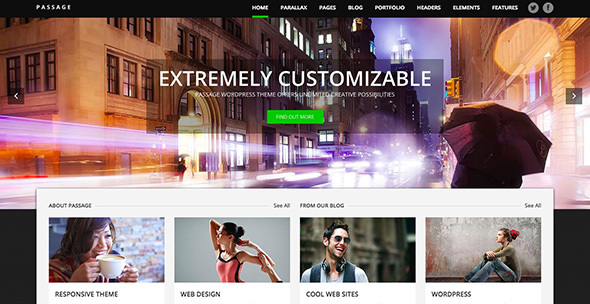 It is a lightweight, high-speed theme with a ton of customization features. It is clean-coded, flexible and responsive. 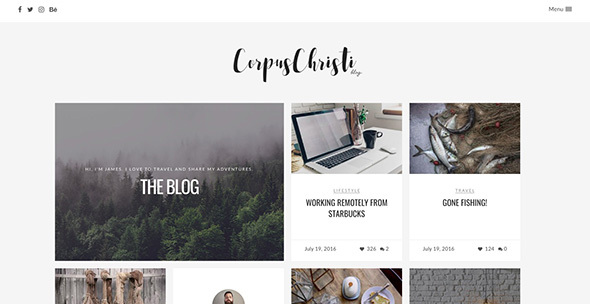 Build websites easy and fast with this theme. 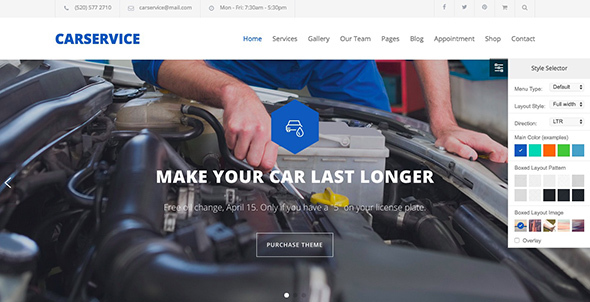 Car Service is another niche-specific WordPress theme with a responsive and retina ready design. This theme comes with many cool features, such as appointment forms, Slider Revolution for designing awesome sliders, a page builder, 90 car-related icons that are font-based, a sticky menu, an AJAX contact form and more. This responsive WordPress blog theme comes with a theme customizer for easily setting it up and tweaking its options. It offers unlimited skins, unlimited sidebars and child theme support. It has a sticky top navigation and you can choose from a classic or a grid (masonry) blog layout. It has 7 post formats and a ton of other cool customization features. 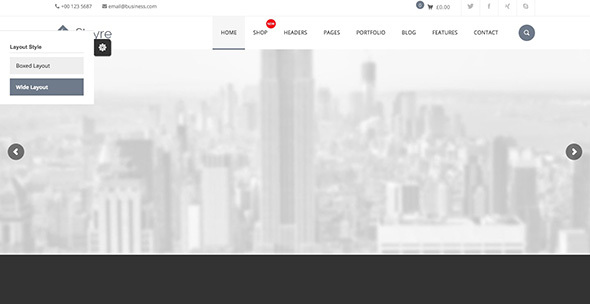 This theme is based on Twitter Bootstrap and has valid HTML5 / CSS3 pages. It is perfectly responsive, retina-ready and cross-browser compatible. It should be best used for blogs with a modern atmosphere. 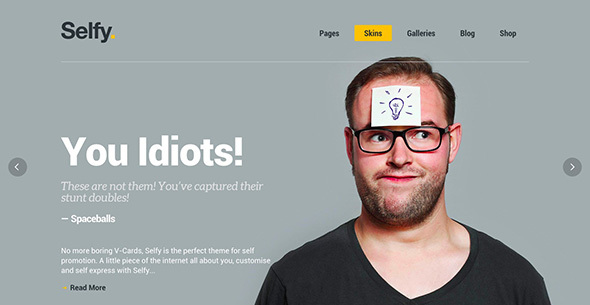 Route is a minimal, responsive, retina-ready WordPress theme based on OOP & CSS3. It is a flexible and powerful theme that can be used for any kind of website. It comes with an easy to use admin panel and it is integrated with the popular Visual Composer Drag & Drop Builder and also a bunch of premium slider plugins. Customization is easy, offering unlimited color options, a ton of shortcodes, 600+ Google Fonts to choose from, and more. Prothoma is a responsive corporate WordPress theme that can be used by digital businesses, agencies and more. 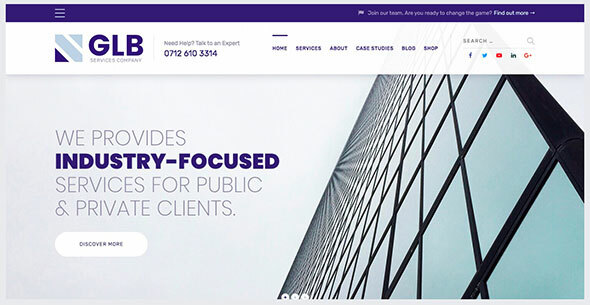 It offers a quick and easy setup and you can use it to create a portfolio or a services showcase for your business in order to attract more client. It is optimized for smartphones and tablets and comes with a clear documentation. This theme is responsive and retina-ready and also optimized for mobile touch and swipe. 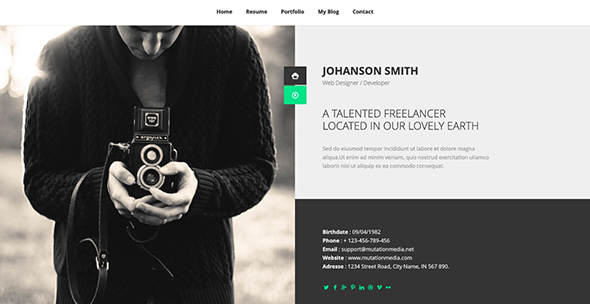 This resume WordPress theme is powered by the ACF PRO page builder and also comes with WPML support. The theme is widget ready, semantically correct with valid HTML code, HTML5, CSS3, jQuery powered and has a fully responsive layout. It is also cross-browser compatible and has a minimal and clean design. 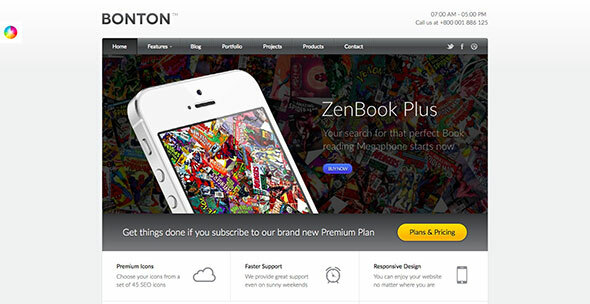 This theme offers an optimized performance for mobile devices and it is retina-ready. It also has a collection of 200+ social icons and extensive documentation. 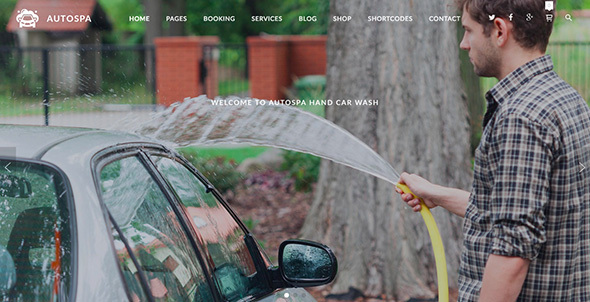 This is a more niche-specific retina-ready WordPress theme created for car wash businesses, auto repair, mechanic workshops, and other automobile services. It can be effortlessly customized to fit your business. It is highly configurable and comes with a powerful online booking plugin. Easily setup a reservation system on your website that can also be integrated with payment gateways such as PayPal or Stripe. Legatus is a clean and fully responsive, retina-ready WordPress theme that can be used for a wide array of blogs, online magazines, online newspapers and other publishing sites. It is SEO-friendly and supports Google ads, AdSense and RTL. 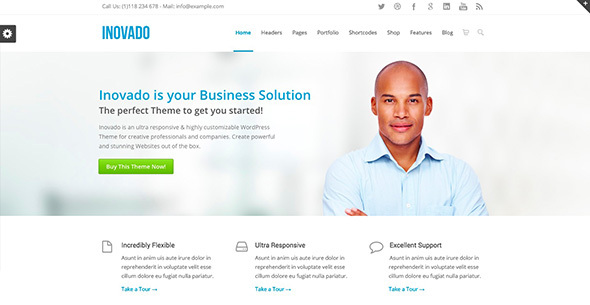 The main features of this great WordPress theme are the fully customizable headers, which can be added differently on each page, the AJAX animations which can be turned on and off and the bonus parallax pages. Check out its complete list of features and see if its a good fit for your site. Hope is a professional theme created for charity / non-profit organizations, crowdfunding, donations, foundations, fundraising, social programs and other relevant niches. It has all the needed features for running an NGO website, such as a plugin for fundraising and getting donations. 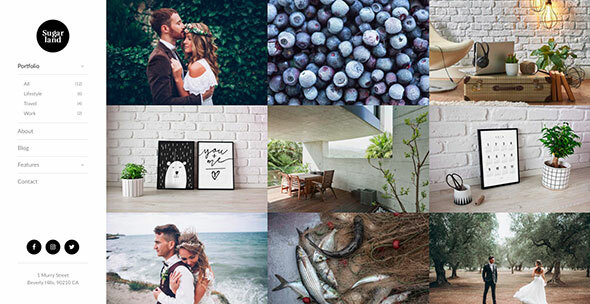 Wedding is a responsive WordPress theme for wedding planners and wedding websites. It has an elegant yet modern design with all the needed features for wedding photographers, planners, and even couple wanting to create unique digital wedding invitations. It has an RSVP form, countdown to the wedding date and a guestbook.